Here are my tips on buying and storing Ethereum. Ethereum is one of the most popular altcoins. As you may probably know, I am a huge fan of this cryptocurrency and am very bullish in a mid to long term. I get many requests on how an where to buy and store Ether, so I decided to sum it up all in one article. 1. 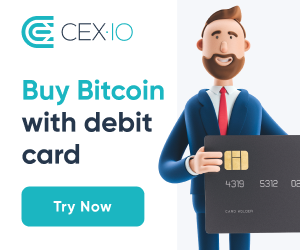 Cex.io is my top choice for buying Cryptocurrencies with your credit card. The site is easy to use, it's user friendly and has all security certificates. The process is quite easy and intuitive and you can purchase most popular cryptocurrencies with ease. I suggest that you use when BUYING cryptos as the rates are very competitive and the process is easy. Adding more cryptos once you purchased them is even easier and faster. That is why Cex is my first choice for buying Ether. 2. Coinmama is my second choice. 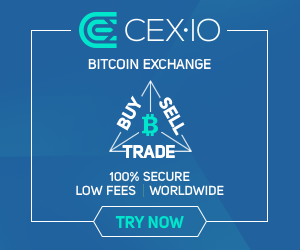 It is even easier that Cex.io, however the rates can be slightly higher. Although the differences are minor (Coinmama could easily be on first place), I decided to give it second place just because its a bit more expensive to buy here. However it is an amazing service and you can buy Ether on Coinmama with ease. 3. Binance of course. Binance is one of the largest exchanges and places you could buy tons of cryptocurrencies, including Ethereum. The site has a bit slow verification process (at least it was slow at the time I registered - the most recent info says that the process is much faster now) and it has much more cryptos available for purchase than previous two sites. You can find almost all altcoins there and purchase them. You can store ethereum in many ways. You can use mobile wallets, desktop wallets, usb wallets or just keep it in one of the exchanges (or the sites you see above). It all depends on your needs. If you need to trade on the daily base Exchanges or sites are maybe you best choice since you'll avoid transaction fees. If you want to hold Ethereum for a longer period, then hardware wallet would be definitely your choice. I will soon have an article about best hardware crypto wallets.